So, what are the signs of mice infestation? Well, for starters if you see the little critters scurry across the kitchen floor every now and then when you open up the pantry door, that’s usually a pretty good indicator that you have a mice infestation. Another indicator that would suggest you have to get rid of mice problems is if you see little mouse droppings, or feces. These droppings are generally rod-shaped with an approximate length of 1/8″ – 1/4″. You may also experience other small tell tale signs of a mouse being present in your home. If you notice any signs of gnawing on the corners of boxes or paper, you may have a mouse problem. 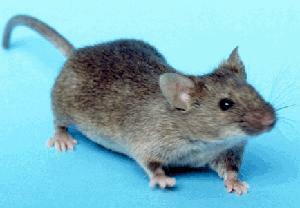 Mice tend to use these resources to build a nest out of the shreds of paper that they are able to obtain. A mouse nest is not something you will trip over unless you’re crawling around in your attic or some crawlspace in the basement. Look in dark sheltered areas to see if you have a nest of the furry critters living in your house. This is only the first step in how to get rid of mice, so please check out the other posts to learn more.